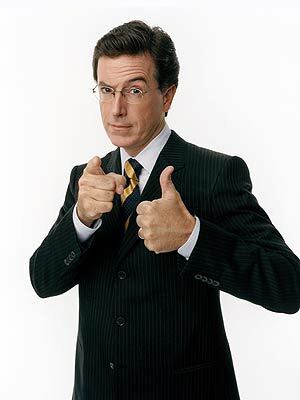 Sciblogs | The science of Colbert's "truthiness"
The science of Colbert's "truthiness"
TV Comedian Stephen Colbert has gained a lot of mileage out of “truthiness” the term he coined back in 2005 to describe that gut instinct that drives a lot of our decision making, that may well be divorced from the evidence, from reality. Since then Colbert, his colleague John Stewart and others have delighted in highlighting examples of truthiness and the term has gained some level of official acceptance – it was the Merrian-Webster Dictionary word of the year in 2006. In this paper, we use the term “truthiness effect” to refer to a category of phenomena in which—when making rapid judgements about the truth of a claim—non-probative information of a stimulus or situation causes people to shift towards believing that claim. In four different experiments Newman and colleagues found that people are more likely to believe claims are true, regardless of whether they actually are true, when a decorative photograph appears alongside the claim. The paper is being published this week in Psychonomic Bulletin & Review. Ms Newman and her colleagues showed people a series of claims such as, “the liquid metal inside a thermometer is magnesium” and asked them to agree or disagree that each claim was true. In some cases, the claim appeared with a decorative photograph that didn’t reveal if the claim was actually true—such as a thermometer. Other claims appeared alone. When a decorative photograph appeared with the claim, people were more likely to agree that the claim was true, regardless of whether it was. We view the effects reported here not as qualitatively new phenomena but rather as lovely new exemplars of a growing family of effects pertaining to inferences (perhaps unconsciously made) regarding the mental generation of hypothesis-consistent evidence. We describe the photo effect as “lovely” for two reasons. First, compared to other “truthiness-inducing manipulations” with which we have experience, the effect of non-probative photos seems to be quite robust. A robust effect is, of course, an essential tool for theory development, and we hope that future research will use the photo manipulation to explore the specific mechanisms underlying its effect. Second, we believe it is just plain cool that the same manipulation that can lead people to think that an obscure celebrity is alive can also lead people to think that celebrity is dead. This body of research suggests that photos might boost the truthiness of claims by bootstrapping the generation of related ideas and images, or by creating an aura of plausibility simply because people find photos to be credible. When people evaluate claims they often rely on what comedian Stephen Colbert calls truthiness, subjective feelings of truth. In four experiments, we examined the impact of non-probative information on truthiness. Experiment 2 showed that photos and verbal information similarly inflated truthiness, suggesting that the effect is not peculiar to photographs per se. Experiment 3 demonstrated that non-probative photos can also enhance the truthiness of general knowledge claims (Giraffes are the only mammals that cannot jump). These effects add to a growing literature on how non-probative information can inflate subjective feelings of truth.